Aggression is one of the oldest and most challenging of human problems. Indications are, that in children at least, it is on the rise. What grabs our attention are the more violating acts of aggression but what is truly alarming is the ground swell of attacking energy within and between our kids that erupts in their interaction, their music, their language, their play, their games and their fantasies. It is the rare parent or teacher that does not encounter aggression in one form or another — be it tantrums, tempers, fits, abrasiveness, abusive language, rude gestures, hostility, racism, taunts, put-downs, bullying, fighting, shaming, belittling, name calling, vicarious enjoyment of violence or the self-attacking forms of self-deprecation, death wishes and self-harm. Such children are unable to benefit from traditional methods of behaviour management. 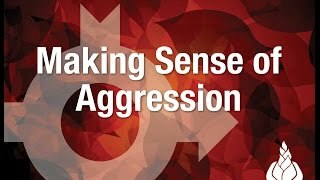 The key to making sense of aggression is to get past the violating behaviour to the emotional experience of the child and to what is missing in the child’s processing or functioning. It is only as the roots of the problem are dealt with that aggression can be effectively addressed. One of the foremost interpreters of the developmental approach tackles one of the oldest and most perplexing of human problems, exposing its deep developmental roots and revealing why conventional approaches to the problem are so ineffective. There are many indications that this problem is escalating among our children and youth. What tends to grab our attention is the more violating acts of aggression but what is truly alarming is the ground swell of attacking energy within and between our kids that erupts in their interaction, music, language, play, games and fantasies. This attacking energy is also fueling an alarming increase in suicide and suicidal ideation among children. Dr. Neufeld provides a way of understanding that not only explains what is happening around us but also provides insight into the individuals - both children and adults - who present with these problems. His approach is refreshingly sensible, historically accountable, and congruent with today’s science of the brain. His conceptual model has clear implications for practice and treatment and is applicable in any arena: home, school or in treatment. The key to making sense of aggression is to get past the violating behaviour to the emotional experience of the child and to what is missing in the child’s processing or functioning. The underlying experience is one of frustration, not anger as is commonly supposed. What is missing are vulnerable feelings as well as a consciousness of anything that would counter the impulses to attack. Such children are inclined to attack when up against things they cannot change. Such children are also unable to benefit from traditional means of discipline such as correction, confrontation, consequences and isolation. It is only as the roots of the problem are addressed that aggression can be effectively cured. Aggression is one of the oldest and most challenging of human problems and indications are, that in children at least, it is on the rise. What tends to grab our attention is the more violating acts of aggression but what is truly alarming is the ground swell of attacking energy within and between our kids that erupts in their interaction, their music, their language, their play, their games and their fantasies. It is the rare parent or teacher that does not encounter aggression in one form or another, be it tantrums, tempers, fits, abrasiveness, abusive language, rude gestures, hostility, racism, taunts, put-downs, bullying, fighting, shaming, belittling, name calling, vicarious enjoyment of violence or the self-attacking forms of self-deprecation, death wishes and self-harm. It is a sobering reality that the kids who fail to grow out of aggression by school age will most likely bring their problem into adulthood, unless the underlying dynamics are addressed. Adding to this disturbing situation is the fact that aggression is so unresponsive to the typical ways of dealing with misconduct. The normal tools of socialization - rules, consequences, discipline, warnings, sanctions, withdrawal of privileges, time-outs, isolation - despite their sometimes immediate quelling effect, actually tend to make matters worse. Likewise, attempts to teach or train in anger management, self-control or prosocial skills work best with the kids who need it least and least with the kids who need it most. The challenge in dealing with children who have failed to grow out of aggression by school age is to understand what one is up against. The emotional hardening in these children has left them invisibly yet significantly crippled: maddened instead of saddened by futility, lacking appropriate ambivalence and surprisingly unalarmed. In addition, these kids lose the ability to learn from consequences or mistakes and cannot adapt when things go wrong. Aggressive children are basically stuck between a rock and a hard place: unable to change what counts and too defended to come to terms with it. Battling against symptoms is futile; the roots of the problem need to be addressed for any significant change to occur. It is not a matter of teaching the child a lesson or nipping aggression in the bud or even improving prosocial skills, but of restoring healthy functioning and development. Until that can be accomplished, the challenge is to compensate for the child’s dysfunction in ways that can minimize incidents and take the violence out of the aggression. Much can be done towards this end - in the home, in the school and in the community. This course is designed for entry level and as such has no requirement regarding previous exposure. For teachers, this course makes an excellent follow-up to the Teachability courses and as a companion to the courses on Bullying and Counterwill and Attention Problems. Continuuing education credit is usually arranged through the host organizations. Dr. Neufeld's ideas on aggression are the most useful I have ever come across. I use his material on a daily basis and have seen excellent results, even in my most difficult cases. I have nothing but the highest praise for his training and I commend him for taking a great leap forward in our understanding of this vexing issue. Dr. Neufeld has an amazing ability to make sense of difficult and complex problems and to open doors for change. His material is not only substantive but also inspirational to those who dedicate their lives and energy to our children and youth. I was spellbound throughout. The material touched on the very essence of being - the yearning for connectedness, the nostalgia for its loss, the pain of that unexpressed grief that inhibits the potential for self-realization, and how it lies at the core of our maladaptive coping strategies. Not only will this guide me in my work with teachers, parents and students, but also with my own children. The following is the outline of the distance education and facilitiated videocourse formats. The structure of the live onsite courses will be dependent upon the time available. The tuition fee for taking Making Sense of Aggression through continuing education is $125. This includes a virtual campus student pass of four months to access the videocourse material as well as other supporting materials. If a personal copy of the DVD set is desired, the tuition fee is $175.